PCKEY CALLOUT is a computer repair company that is dedicated to providing a fast, convenient and affordable callout computer repair support service to homes and businesses across United Kingdom. We focus primarily on customer service and satisfaction, aiming to provide a professional and friendly service, and making sure that we are always there for you whenever you need assistance. How can I find a local PCKEY CALLOUT engineer? PCKEY CALLOUT engineers are available all around United Kingdom to help you with any computer-related issues you might be experiencing. To find your local engineer, please visit our homepage and input your postcode. They are always available to help you! Our skilled engineers will solve any computer-related problems regardless of make, model or operating system of your device. They can assist you with any devices that you connect to your computer or network, as well as software that you install on your devices. We also offer setting up and troubleshooting wireless network and broadband connection. You can see the full range of our services on the Services page. Unfortunately, we cannot provide support for large and complex corporate IT systems, however, we are able to help you with just about everything else. If you cannot find a service that you require on our services list, please get in touch with us, and we'll be happy to discuss your needs. Do you guarantee the service you offer? Your satisfaction is our passion. We guarantee the work we carry out, and we have the “no fix no fee policy”, which means that on certain occasions if we are unable to fix your issues, you will not be charged a penny. For full details, please see our Terms and Conditions. At PCKEY CALLOUT, we offer same day computer assistance which is performed by our knowledgeable engineers that live close to you. Once you place an order, an engineer in your area will receive a notification and will visit you on within 24 hours at a time convenient to you. The engineer will take care of the issues for you so that you can have a stress-free and hassle-free experience. When can I contact PCKEY CALLOUT Engineer? Our engineers are available from 8.00am to 10.00pm from Monday to Sunday including Bank Holidays. This is to make sure that you get help when you need it, regardless of holidays and the time of the day. Yes, we can help you to set up, configure or troubleshoot a wireless network and your broadband connection. If you are having an issue with Online Back-up, please visit the home page, enter your postcode, contact your local PCKEY CALLOUT Engineer online and describe your problem. The engineer will take note of the situation and make an appointment with you. Our website is absolutely safe and secure as it uses the SSL certificates (Secure Sockets Layer – which is currently the best security standard for secure websites). SSL keeps your personal details and card details encrypted and safe from unauthorised access. We have partnered with Visa and MasterCard and World Pay, so whenever you make a payment the whole transaction is handled by your chosen vendor, and we do not actually store any of your bank details. Do you offer your services to business organizations? Yes, we do. We offer professional IT services to companies and businesses in different sectors nationwide. If you are self-employed, working from home or own a small business enterprise, then PCKEY CALLOUT is the perfect solution for you. We only solved software related problem and setup network printer. We are not able to repair any Hardware problem. We have employed means to make the process simple, quick and easy to understand. Please visit the home page, enter your postcode and contact your local PCKEY CALLOUT Engineer – they are always willing to help! We offer a wide range of services for home and business organisations which includes fixing PC/laptop faults, wireless network setup, virus removal, broadband troubleshooting, data backup and retrieval etc. Please visit PCKEY Services page for the comprehensive list of all the services we offer. Once an engineer has fixed your computer issue, you will be asked to go online to our payment facility and make the payment there. We accept all major credit and debit cards. We don’t accept cash or cheque payments, as all payments have to go through our online system. A full receipt is always provided. Also, you will receive an email confirmation and receipt. Will I get a chance to speak to a PCKEY CALLOUT Engineer? Yes! We value the possibility of having a direct contact with our clients. When you contact us for support, you can be sure that you are dealing with a qualified and experienced professional. At busy times, you may not be able to speak directly to an engineer; in those cases, our administrative team will take messages on their behalf. Our dedicated team will take the time to understand the issues you are having and will arrange for one of our qualified engineers to visit you on the same day at the time convenient to you. Will you charge me if you do not fix the problem? No, we have a simple and clear pricing policy; “no fix, no fee”. We are computer support specialists and we are confident of providing solutions to all computer-related issues. On rare occasions, if there is any doubt that we will not be able to help you, we will not book an engineer and you will not incur any charges. Once your PCKEY CALLOUT Engineer is booked (unless expressly agreed otherwise with your local PCKEY CALLOUT engineer) every customer will incur a minimum one hours labour charge. This gives your PCKEY CALLOUT Engineer time to diagnose and troubleshoot your problem and in many cases; we will fix the issue within the booked hours. 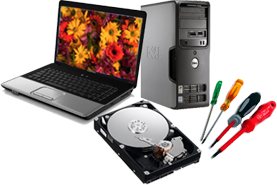 We understand how frustrating it is when the repair of your computer is not affordable, you are unable to connect to the internet, or you are unable to locate the necessary software installation disks or license keys to enable a repair. In these rare cases, we would advise you the steps to take, but still take payment even though the problem remains “unfixed”. We will always advise you on what can be done to get the issue resolved, whether it is referring you to the manufacturer for a replacement but we may fix such issue if we have the required parts but such work will attract additional costs. We will also liaise with your ISP to notify them of the disrupted internet issue to take the burden off of you, and to ensure a repair process is initiated as soon as it’s possible. No, we do not charge a separate fee for visiting you. Once your PCKEY CALLOUT Engineer arrives at your house, (and unless expressly agreed otherwise with your local PCKEY CALLOUT engineer) you will only incur a minimum one hour's labour charge. This gives your PCKEY CALLOUT Engineer time to diagnose and troubleshoot your problem and in many cases, fix the issue within the booked hours. Will you take any of my equipment away? No, we will never take any equipment out of your premises. Our aim is to resolve all issues at the customer's home or business premises on the same day. However, if the engineer is unable to fix your computer we will send another engineer instead of taking your equipment away. What areas do you cover for same day on-site visits? We operate in United Kingdom (National service), so please visit our home page in order to find out if we currently offer our services in your area. Yes, we will give you a 2-hour appointment time (for example between 3pm and 5pm) and our engineers will do their best to call 20 minutes ahead of arrival to let you know that they are on their way to you. You can book an appointment between 8.00am and 10.00pm Monday to Sunday (subject to availability). Are there any special requirements for a home visit? A person aged 18 or above must be present on the premises throughout the visit. This is because our Engineers must be given full access to all equipment that needs fixing or setting up to enable them to start the process, as well as your consent and co–operation to enter your home. Our Engineers must be provided with a safe working environment, working space and electrical power. PCKEY CALLOUT will not tolerate any acts of hate and aggression towards our Engineers, and all such cases will be reported to the Police.